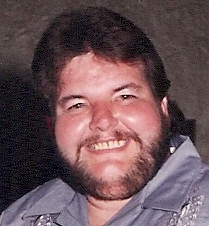 John Daniel (Chum) Keller, 67, of Espyville, passed away on Tuesday, February 13, 2018, at Andover Village Nursing and Rehabilitation in Andover, Ohio. Born August 23, 1950, in Newport, Tennessee, he was the son of John Samuel and Reba Joyce (Blazer) Keller. John was a 1969 graduate of Lincoln High School in Cleveland, Ohio. For many years, he worked for SIFCO Industries in Cleveland. John enjoyed playing darts, bowling, golfing, hunting and fishing. Survivors include his mother, Reba Joyce Keller; two sisters, Patricia Thomas of Cleveland, Georgia and Cynthia Collins and her husband, Timothy, of Linesville; four nieces, Melissa Jenkins, Crystal Collins, Tammy Collins and Tabitha Collins; a nephew, John Vance; and several great-nieces and great-nephews. He was preceded in death by his father, John Samuel Keller and a great-niece, Ricki Jenkins. Calling hours will be Thursday from 2 to 4 and 7 to 9 p.m. at Royal-Coleman Funeral Home, 6028 U. S. Highway 6, Linesville. Graveside services will be 2 p.m. Saturday at Faubian Cemetery in Parrottsville, Tennessee. In lieu of flowers, memorial contributions can be made the funeral home. Please share a condolence or memory of John for the family at royalcolemanfuneralhome.com.